Virtual reality experience for Oculus Rift and EEG headset, approx 12 minutes. 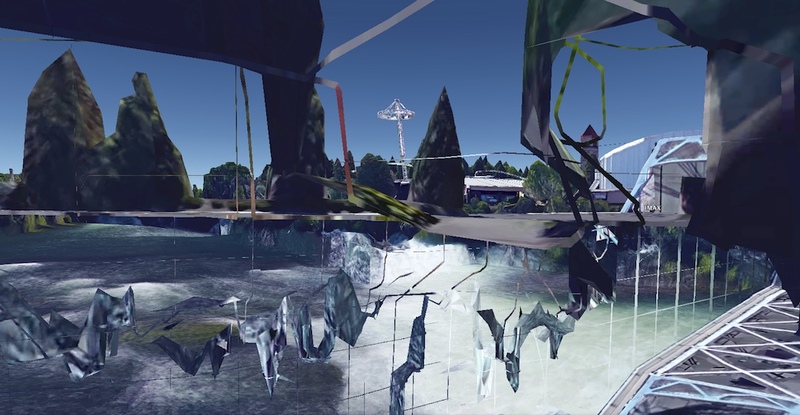 Update Required, is a biofeedback-enhanced VR experience for personal enhancement. The program takes cues from the user's brain signals via EEG to guide them away from the "safe zone" of Windows95. The resulting journey guides the user towards a more contemplative or critical path of technological understanding in just a few easy steps! 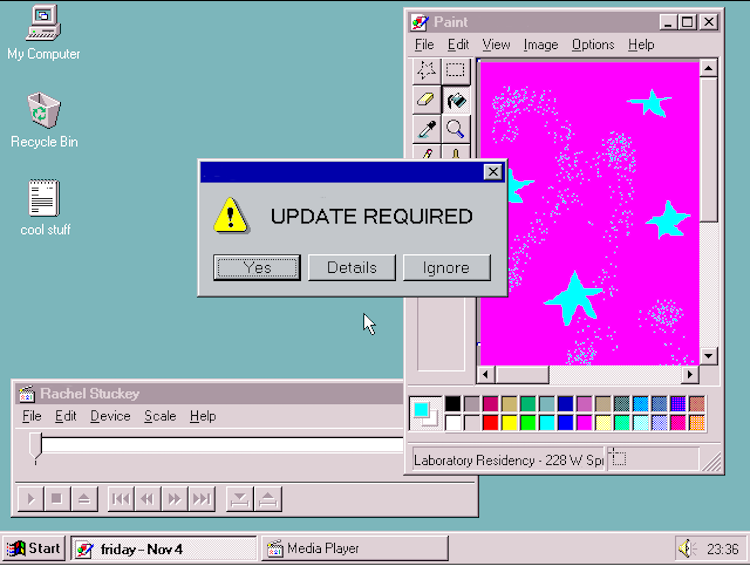 Whether you're a tech goddess or digitally afflicted, Update Required is a guaranteed skills boost in the realm of metaphysical computing. Created while artist-in-residence at Laboratory. Update Required trailer from Rachel Stuckey on Vimeo. Spam's - The Internet: The Restaurant // IRL + Fusebox Festival, Austin, TX. April 12-16, 2017.